Randy Ballistic and Lily LeBlanc are head-over-heels, bed-breakingly, screaming orgasmically in love. But even they have their challenges, mostly outside of the bedroom. With the off-season coming to a close and the boys gearing up for training camp, one more weekend of fun is the perfect way to welcome the new season. The entire crew piles into vehicles and drives to Alex and Violet’s Chicago cottage for a few days of relaxation―and hopefully a chance for Randy to shake the anxiety that’s been plaguing him. Accidental wardrobe malfunctions, typical Violet inspired overshares, and a whole lot of private time round out the perfect weekend getaway. But the moment they return to the city all of Randy’s angst resurfaces with the arrival of a surprise houseguest. NYT and USA Today bestselling author of PUCKED, Helena Hunting lives on the outskirts of Toronto with her incredibly tolerant family and two moderately intolerant cats. She's writes contemporary romance ranging from new adult angst to romantic sports comedy. 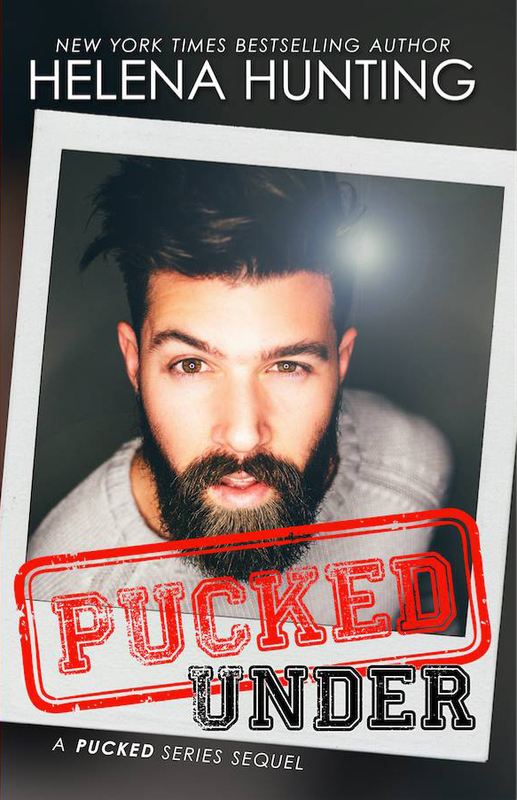 This is going to be another good one in the pucked series!